Particularly efficient with exclusive Muhr equipment modules. Bulk goods, loading system, loading conditions, regulations, etc. – every loading situation is different. Accordingly the loading system must be adapted to your individual requirements. With our modular concept we offer you a tailor-made loading system in serial quality. 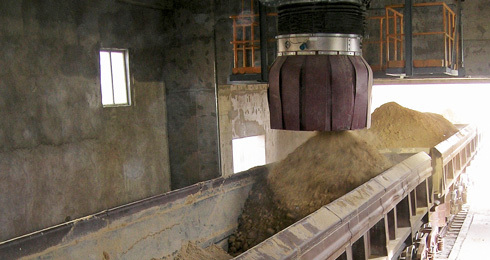 For each loading facility – for all types of bulk goods! For the opening loading of bulk goods into trucks, containers, railcars, ships, hoppers or stockpiles. With open loading in particular, considerable experience is necessary for the conceptualization of the loading system. 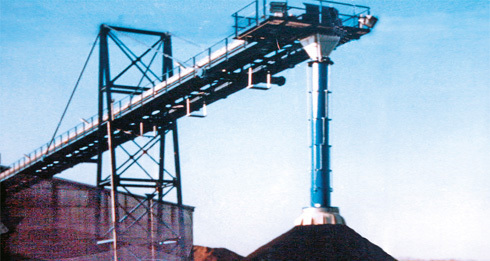 For the reliable and dust-free loading of coarse-bulk materials such as gravel and clinker, as well as for powdery products. With loading capacities of more than 1,000 m³/h and loading heights of up to 30 m and more. Perfect, residue-free loading with the Muhr MVS-TD bulk loading system with sealable telescopic tubes or the Muhr BSS Bellows-Stretch-System. 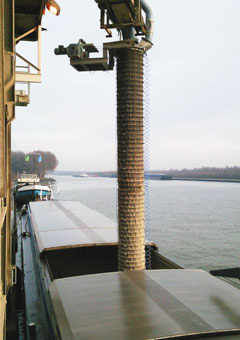 In certain cases, bulk material residues in loading devices are not wanted, e.g. for hygiene reasons, due to the risk of fire or explosion, or in the case of a product change. 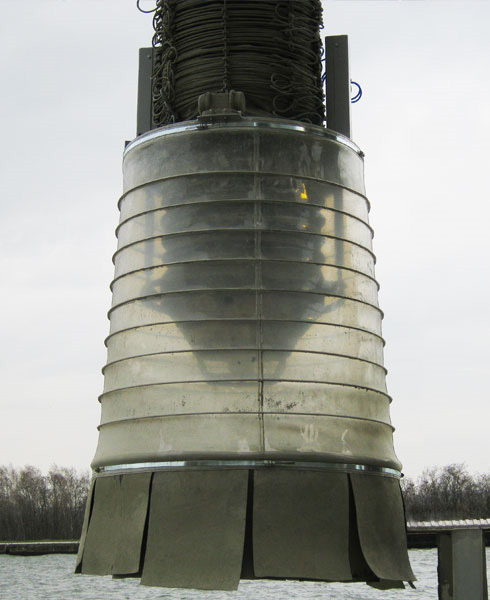 Vibrating units on the nozzle head for the cleaning of the loading bellows are frequently insufficient for this purpose, as product residues remain in the folds of the loading bellows. With the Muhr BSS bellows stretch system or the Muhr MVS-TD telescopic pipe system, residue-free loading is guaranteed. Reliable and safe. 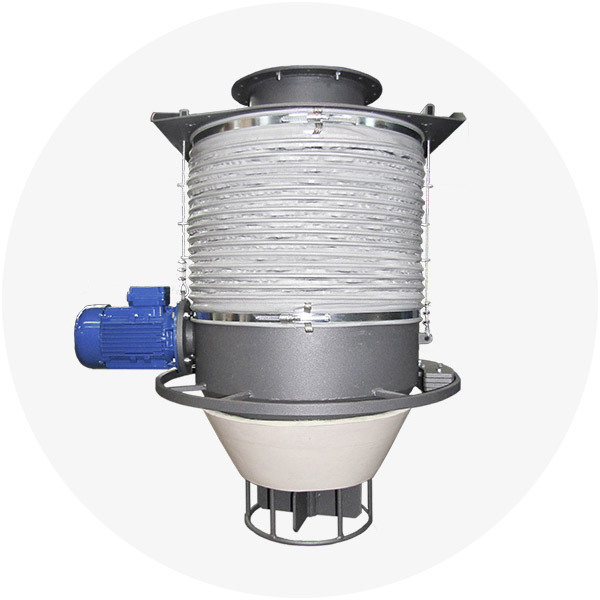 In comparison with loading bellows, hardly any product residues are able to deposit on the smooth inner walls of telescopic pipes. 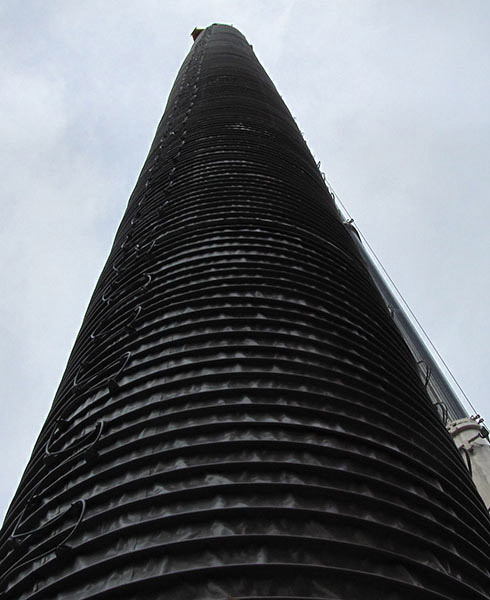 The disadvantage of conventional telescopic pipes, however, is that dust is able to escape from between the individual pipes. Not with the Muhr MVS-TD. The ultimate loading telescope. Highly flexible. Absolutely dust-free. 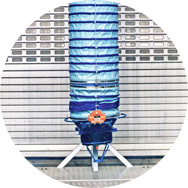 With the use of the Muhr BSS Bellows-Stretch-System, the walls of the top and bottom bellows are alternatively stretched or folded. 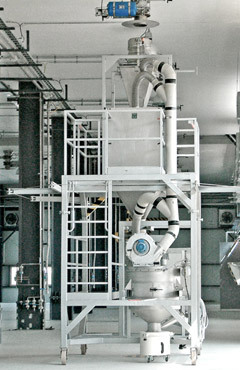 This ensures that bulk goods residue is reliably cleared out of the folds of the loading bellows. 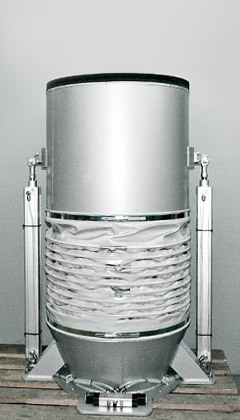 During the stretching and folding, the loading nozzle is held tightly in place in the tank opening by the pneumatic MVS sealing collar so that it cannot be lifted by the stretching device. Many advantages – one system! 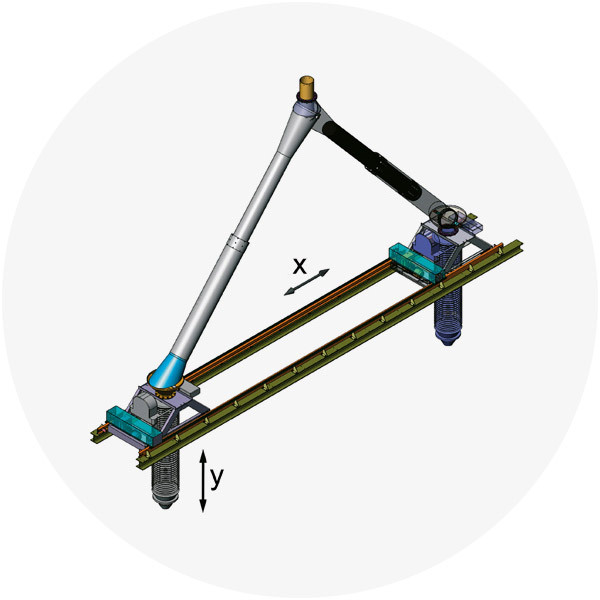 Maximum Flexibility – in X, Y, and Z direction. 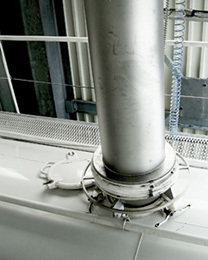 For flexible positioning of loading systems above tank openings or underneath silo outlets. 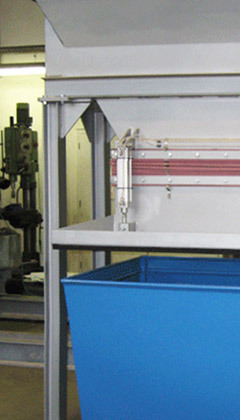 Depending on the task at hand, three different systems are used: The Muhr filling-, positioning- or discharging loading vehicles. The right solution for every situation! 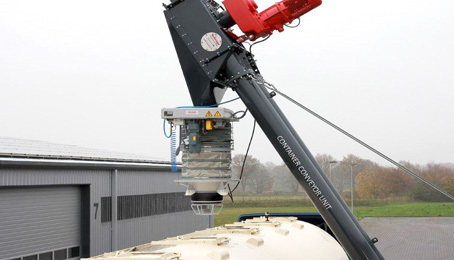 For filling silo trucks, tankers and containers with several apertures or open vehicles, when the transport vehicle is not to be moved during loading. Ideal if the vehicle is positioned on a weigh-bridge, or when long trains are being filled: In these cases, no displacement from one aperture to the next is required, but only from railcar to railcar. Travel paths of up to 10 m and over are possible. If required, the system can also be designed to move in a lateral direction. 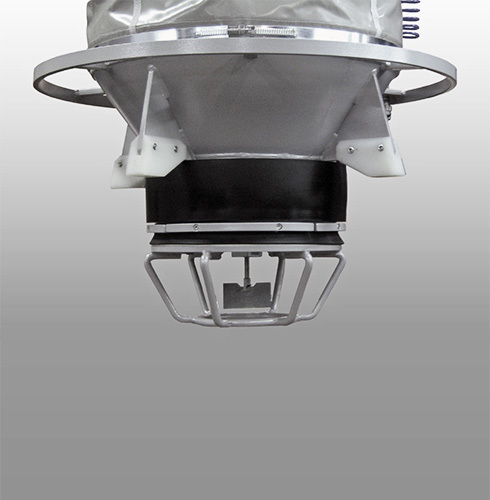 For precision positioning of loading systems above a tank opening. 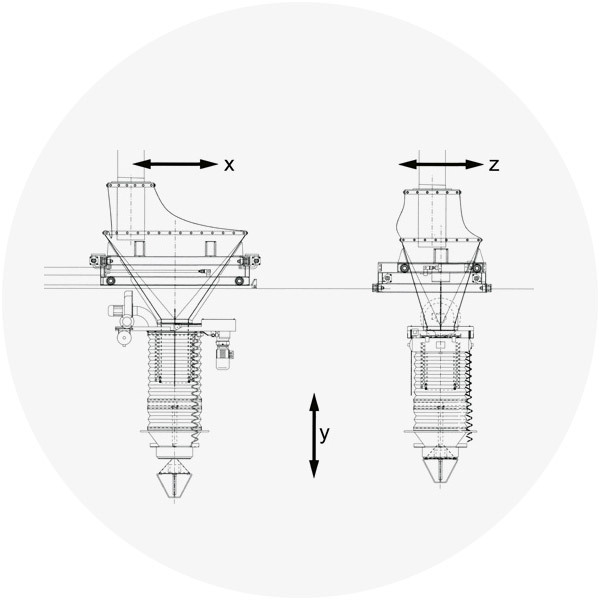 Depending on the design, the loading system can be positioned either in a longitudinal or a longitudinal and lateral position relative to the container axis. The travel paths generally total up to 1,000 mm in the longitudinal axis and up to 200 mm in the lateral axis. 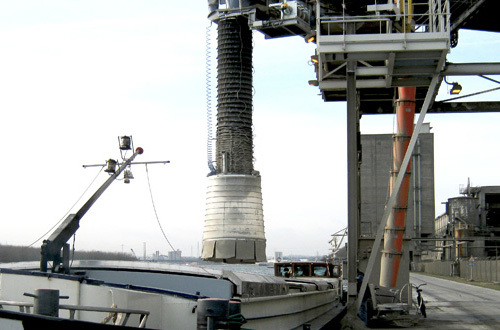 With an integrated docking device for discharging several silos with one loading system. 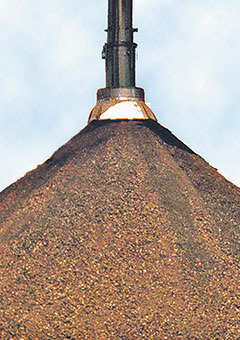 To do so, the loading vehicle initially approaches one of the silo apertures. After the dust-proof docking on the silo aperture by means of the integrated docking device and the docking of the loading system on the tank of the transport vehicle, the loading procedure can be started. The travel path and number of silos to be emptied can be freely selected. PAV pneumatic docking device for dust-free filling, discharging and transshipment of bulk materials. 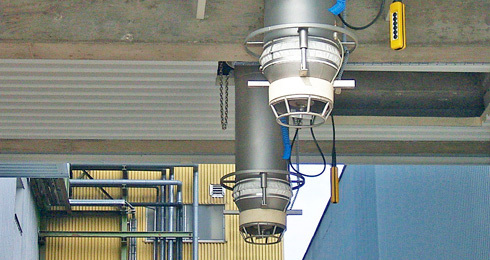 Pneumatic docking devices are employed for dust-free filling of containers, barrels, mixing and weighing containers. 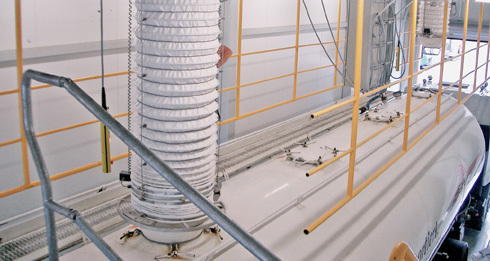 This also ensures a dust-free connection of moving units with stationary units, such as mobile discharge or conveyor systems with silo outlets, silo vehicle outlets with stationary extraction systems, mixer outlets with stationary extraction systems or transportation containers and much more. PAV docking devices are available in all shapes and sizes and are individually manufactured in accordance with customer requirements. They can also be expanded with numerous equipment modules. 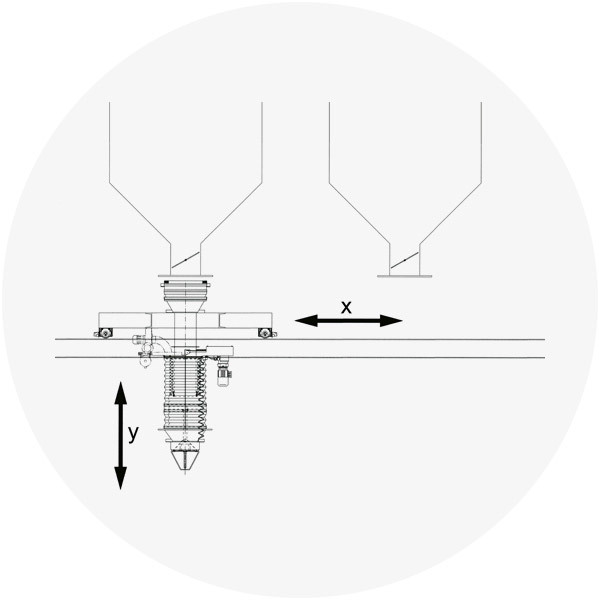 Docking – weighing – metering – loading in one system. Mobile from outlet to outlet. 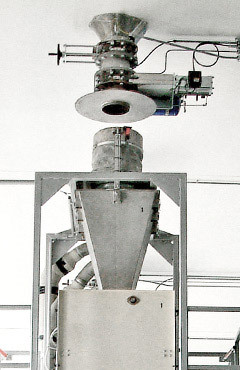 For gravimetric metering of bulk goods in transport vehicles and containers from multiple silo cells or product feeds. The mobile Muhr MWV weighing/loading system comprises a pneumatic docking device, a weighing and metering system, a loading system and a mobile chassis. 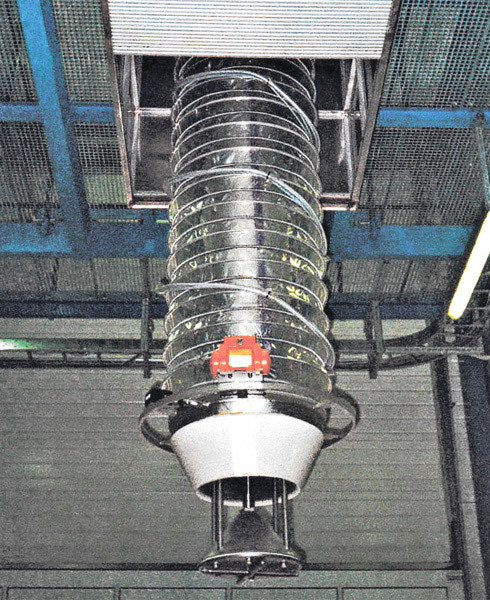 The MWV mobile weighing/loading system is positioned underneath an outlet opening. Then a dust-free connection is established both via the docking unit to the outlet opening and also via the loading system to the transportation vehicle. Now the desired weight can be metered, dust-free into the transport vehicle. Flexible part in flexible designs for efficient solutions: Muhr single loading bellows or double bellows version. 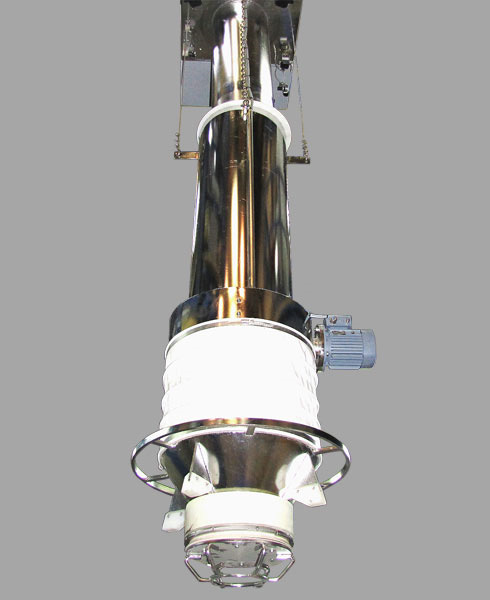 With wear protection cones or internal telescopic tube. Or as telescopic tube with or without pneumatic intermediate sealing Innovative Muhr solutions for guaranteed customer satisfaction. 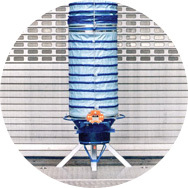 With Muhr you receive the ideal bellows for your area of application and your requirements.